It’s the holiday season, and for a lot of people, that means traveling. You’ve got family scattered halfway across the country, and since they don’t have the decency to all come to you, you’ll probably be on the road, away from home, and away from your shelf stocked with all your games. But you’re a gamer, and we all know you’re going to be bringing some games along to pass the time. The problem is, when you’re trying to pack a car, those game boxes take up a lot of space. Even though you want to have a variety of options available depending on the mood and which people are around, you can only fit a few games, and then of course you risk them getting crushed or damaged in transit. Fortunately, we at iSlaytheDragon have got your back. 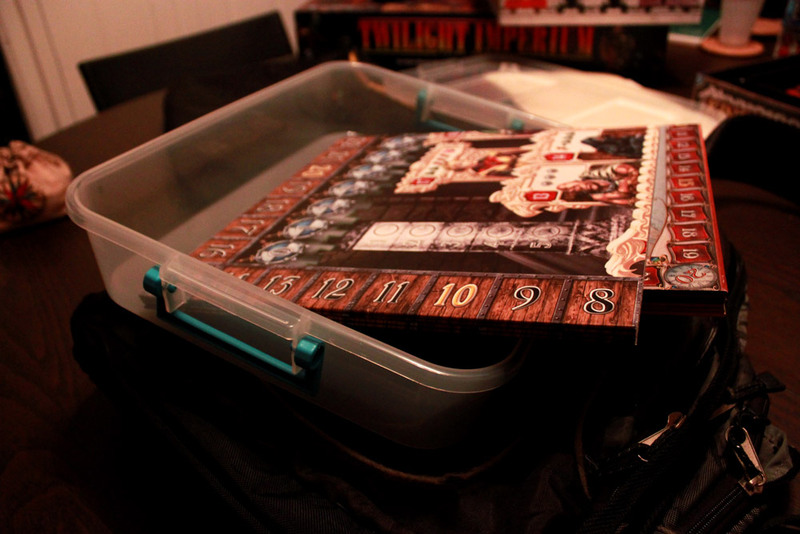 I just happen to have a few tips and ideas for packing those games away. With a little effort, you can make sure your collection is safe and that you have the variety you’d like to have available when away from home. These tips can also help you with gaming conventions and other events in which you might want to have a lot of board games in a small amount of space. Here’s the catch: you’ve got to be willing to unbox those games. The boxes are usually the biggest space-sucker-upper, inefficiently storing those bits and parts and boards. So step one is to be prepared to ditch the boxes, at least as long as you’re on vacation. In part 1 of this multiple-part series, let’s talk about boards. A lot of board games have boards, and it is for this reason that many game boxes are so large. Boards don’t exactly fold up into tiny little cubes. So how to deal with them? The best way to handle boards is to stick them all together. 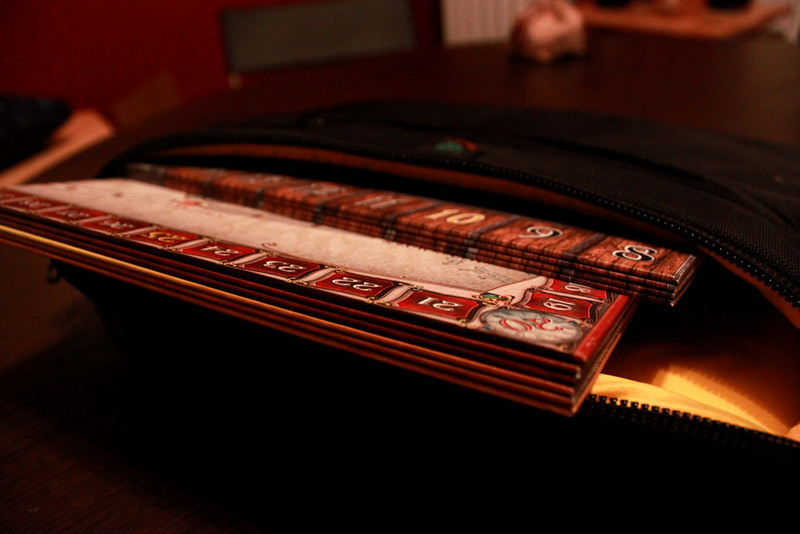 Most boards fold down to an approximate 11″ square (to fit into that standard game box), and thus stack nicely together. Even uniquely-shaped boards usually have at least one side the standard length, so you can put those at the top of the stack. This backpack has a laptop pocket. Boards shouldn’t damage each other, but if you’re really worried about scratching, you can put a piece of clean white paper between boards, or a thin piece of cardboard. If it’s not too thick folded up, some boards can fit inside a gallon-sized Ziploc storage bag (or the generic brand; it doesn’t have to be Ziploc). Once stacked, you need to fit the boards somewhere safe. One option is to set aside one of your game boxes strictly for the boards, especially if you have a lot of boards you want to stack. As game boxes and boards are designed to work together, stacking up a bunch of boards in one box will not only fit nicely, but it is much more efficient space-wise than one board per box plus bits. You can also use a laptop bag, or a backpack with a laptop section, or a briefcase, to store boards safely. These things are designed to protect their flat, rectangular contents from scratches and impacts, making them perfect for transporting a stack of boards. A regular backpack would work as well, although it might not include as much physical support—but backpacks were designed to carry stacks of rectangular cardboard and paper, so not that big of a deal. Another option: you could check an office supply store (or some place more generalized like Target or Walmart). They often sell hard plastic containers of varying sizes. These are very solid, and will definitely protect your boards. Just be careful what you get—oftentimes these containers will slant inward, so what fits easily at the top becomes a squeeze at the bottom, which could cause warping or bending or mushed edges. Just make sure your boards fit cleanly before stuffing everything in and tossing it away. 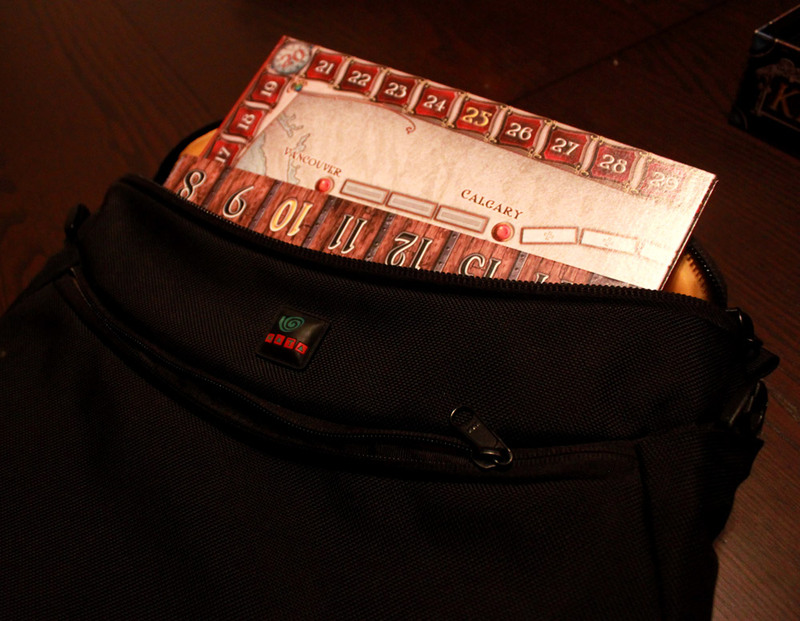 These are also a great option for hex-based boards like Catan, which wouldn’t fit as cleanly into a laptop bag. And you could definitely get a smaller box for those hexes. Hopefully these ideas are helpful, and feel free to share any of your own. 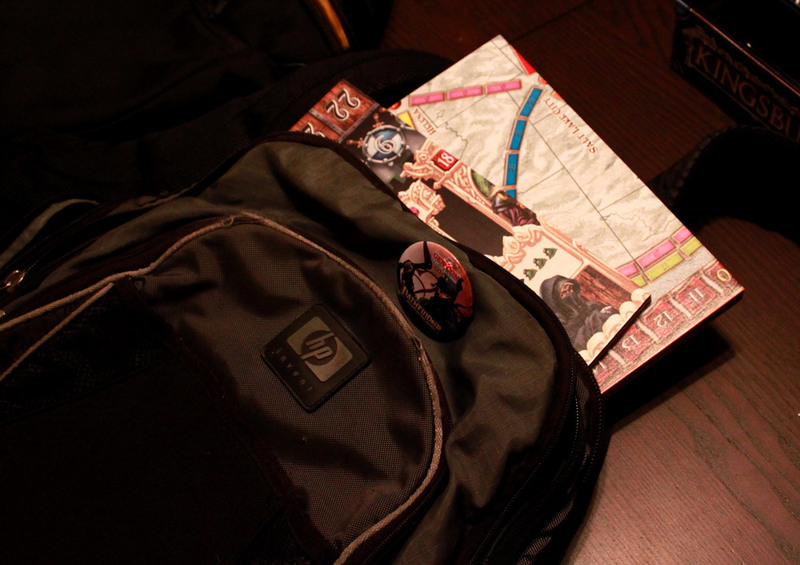 Check out part two: bits and pieces, and part three: cards, for more helpful tips on transporting your games! Previous ArticleFDQ: Quality or Quantity? I really like your suggestion of taking a game box to put all the boards in. That’s pretty ingenious. I bet I could fit almost any board into a Monopoly game box. I’m about to do some traveling for Christmas so this just made my day, thanks Wolfie! where he manages to fit 19 great games into one medium-size box.